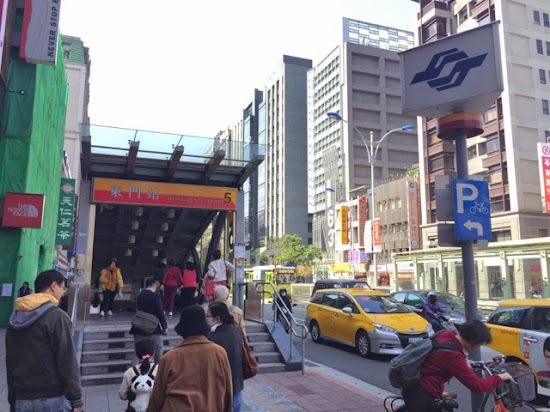 The first time I ever heard of Yong Kang Street was during one of my first trips back to Taipei after being away for over 12 years. I was back for just one month and had no clue where anything was. 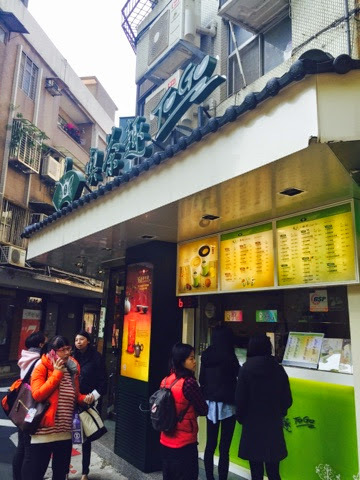 After lunch at Zhu Ji, my aunt told us that we had to go to the mango shaved ice place on Yong Kang Street. "What's the name of the place?" we asked her. 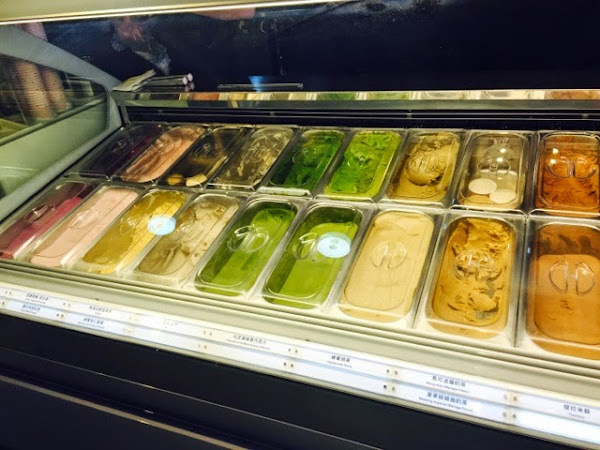 "Just tell the taxi driver that you want to go to the mango ice place on Yong Kang Street and they will know," she responded. And it was true. Even ten years later after my first (blurry) post ever for hungryintaipei about it, and even though that spot is no longer Ice Monster after several changes in owners and shop revisions, it's still crowded with people getting their shaved ice on. 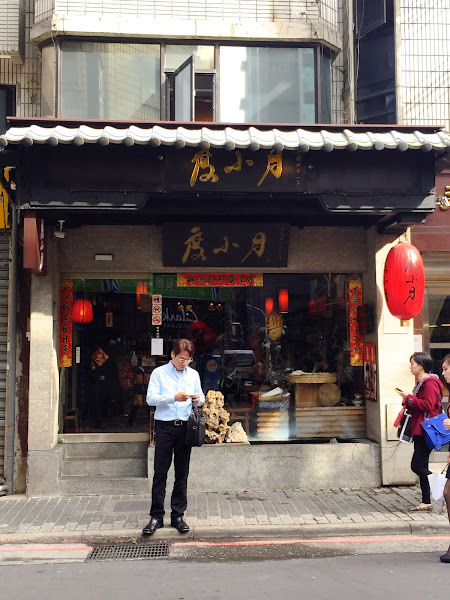 But Yong Kang Street is more than its famous bookends of the original Din Tai Fung at the front and mango shaved ice near the touristy end. 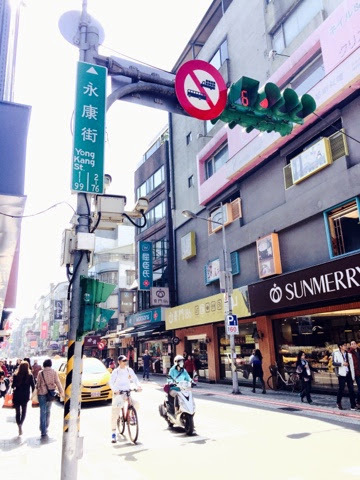 Yong Kang Street, or aka Yong Kang Jie, is full of Taiwanese restaurants, dumplings, noodles, street eats, boba milk tea and even cute dessert cafes and amazing sushi bars if you know where to wander off to find them. 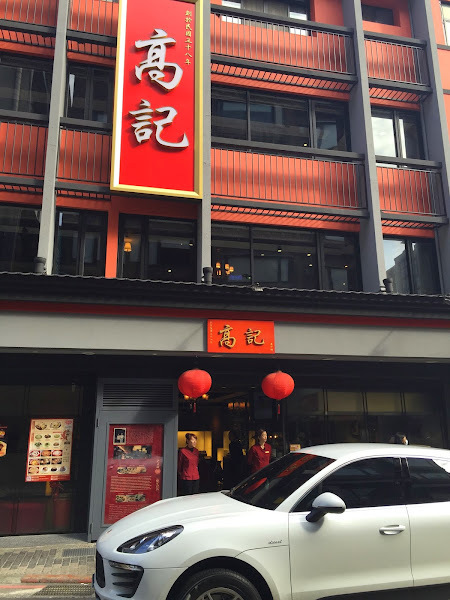 You could even put your name down at Din Tai Fung and explore and snack for half an hour to come back in time for your number to come up for xiao long bao. If you want to eat like a tourist, then you'll just go to Din Tai Fung and mango shaved ice. But if you want to eat like a local, then you'll have to dig a little deeper into this street of good eats. 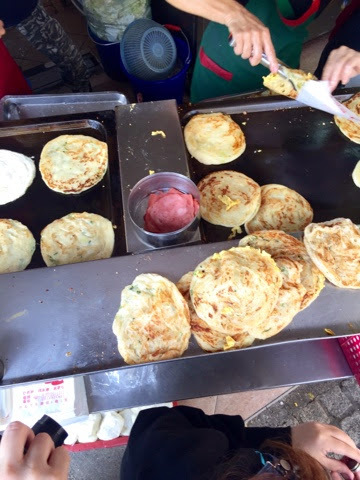 CNN readers just voted Taipei as their number one food destination as having the best food. I totally believe that's true! 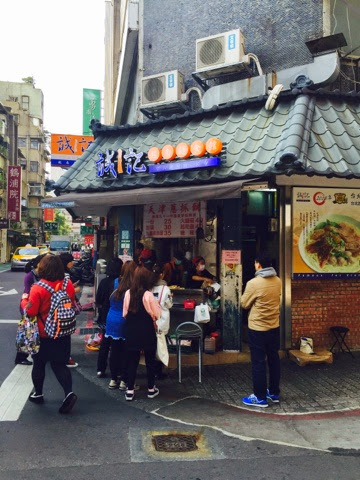 If you only had one day to eat in Taipei, Yong Kang Street wouldn't be a bad place to spend it. Whether you try it at Din Tai Fung, or its competing neighbor Kao Chi, get some dumplings in your belly! 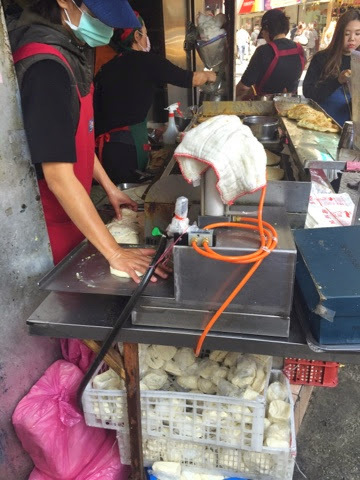 If you're willing to explore, further down on Yong Kang St are some hole in the wall dumpling places for a lot less. 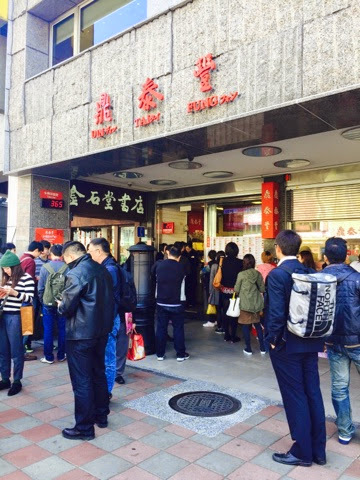 DIN TAI FUNG 鼎泰豊- the original DTF always has a line out front. Even though this location takes up four floors now in the building, it's one of the more cramped locations because it's too popular for the small building's size. Grab a number, ask for estimated wait times and take a quick stroll down Yong Kang St for your next stop. KAO CHI is right around the corner from DTF and some say the xiao long baos are equally good and slightly cheaper. I've had good as well as mediocre visits there and I think DTF's xiao long bao skins are more delicate, but you could consider a visit if you are too impatient to wait in line. 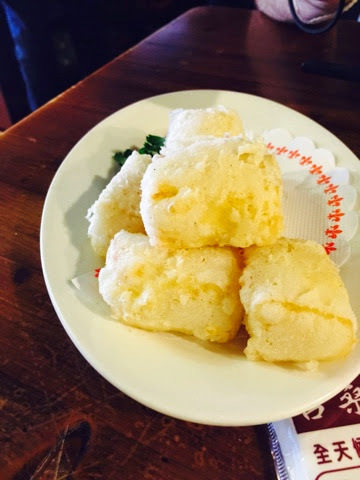 What Kao Chi's specialty is though are the sheng jian baos, with a thicker skin and steamed and pan fried at the same time so that they have crisped bottoms. Oddly housed under a sign for Thanh Ky's Pho, the spring onion pancake vendor is worth waiting in line for. You can opt for plain (which I prefer), with egg, cheese, ham or the works (NT$25-50). English menu available to point at. Order one to share and eat while you keep exploring. Crispy, flaky on the outside, doughy on the inside, the cong you bing is hot and quite filling if you eat the whole thing. Totally prepared with individually wrapped dough to press and flatten with a machine and throw onto the hot griddle. Only have time to hang out near Yong Kang Street, but craving some beef noodle soup? Most people will wander over to the famous Yong Kang Beef Noodle Soup. 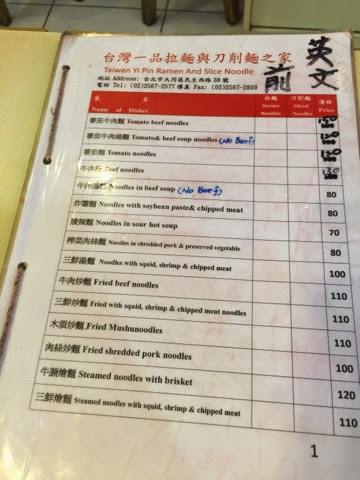 Or you could give this knife cut noodle shop a try, Yi Ping Shanxi Dao Xiao Mian, with a bowl of tomato based beef noodle broth, chunks of beef and slivers of knife cut noodles. CNN liked it enough to include it on their best beef noodle soups list after I took them there when my other fave knife cut noodle shop was closed (and we had already hit up Lin Dong Fang and W Hotel's beef noodle soups). There's also another knife cut noodle shop in the alley around the corner, but I always seem to pass by when it's already closed. 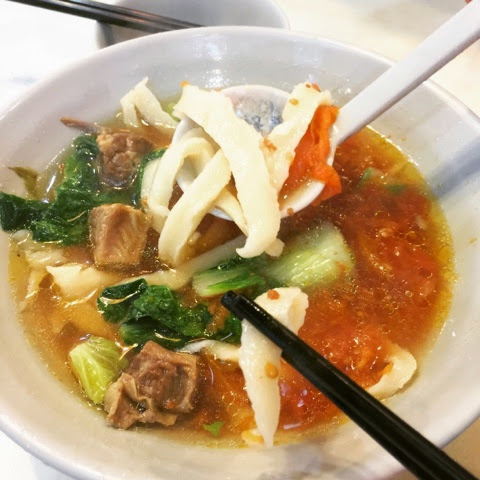 Of course, if you have more time in Taipei, my personal favorite beef noodle soups are elsewhere, but this is a decent bowl for your walking tour of Yong Kang St. 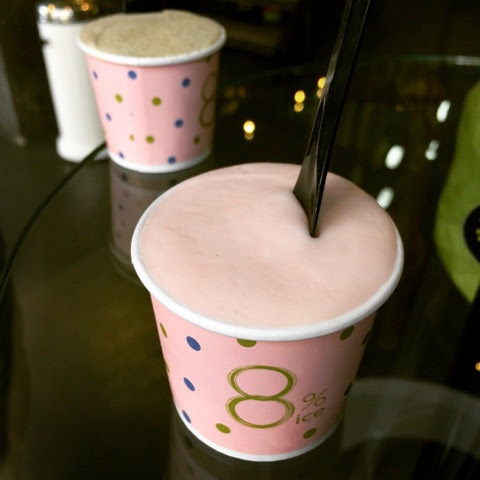 Sit downstairs for the feeling of having your shaved ice in the original shack, or sit upstairs in an air conditioned room, which was added during a recent expansion when Smoothie House 思慕昔 took over the reins for this spot from Ice Monster/Yong Kang 15 a few years ago. 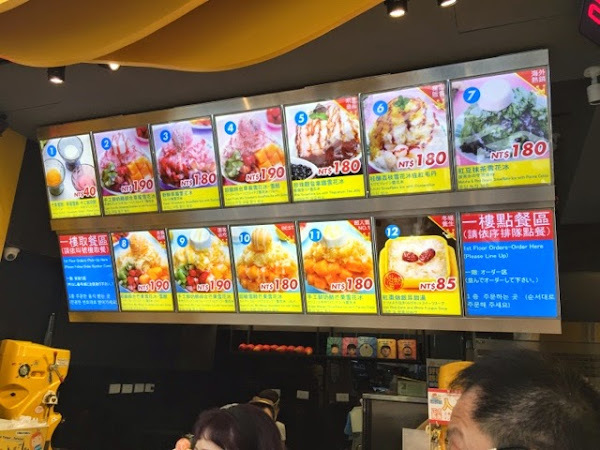 One bowl is big enough to share and the menu has tourist friendly photos and English to browse, though if you choose to sit upstairs there is a minimum fee per person. 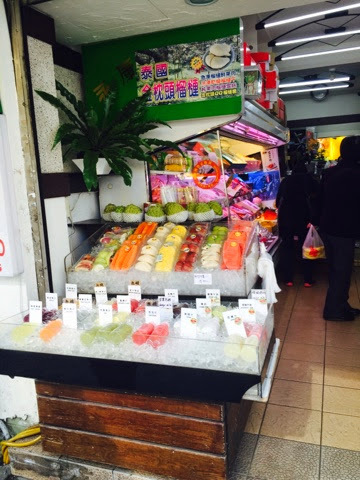 You can also get some fresh fruit or fruit juice... somehow the fruits are incomparably sweet in Taipei. Give wax apple or custard apple or watermelon juice a try if you've never had it. 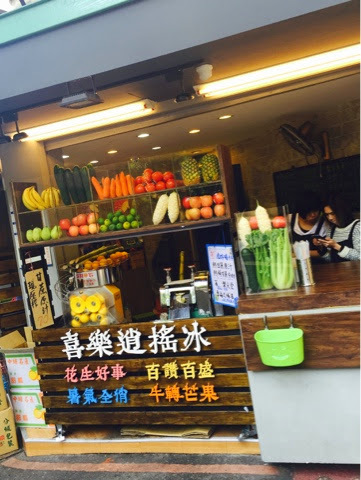 There's several shops along Yong Kang Street serving fresh squeezed juices to quench your thirst or pre-sliced fruits packed for easy eating on the go. 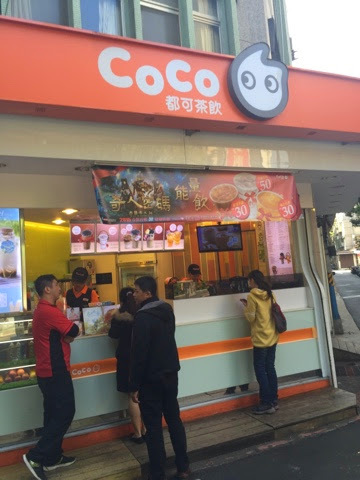 Currently there are three popular boba drink shops along the short stretch of Yong Kang St. My personal fave is 50 Lan- I like to get fresh milk w/ mini bobas, no sugar, less ice, sometimes with extra pudding. 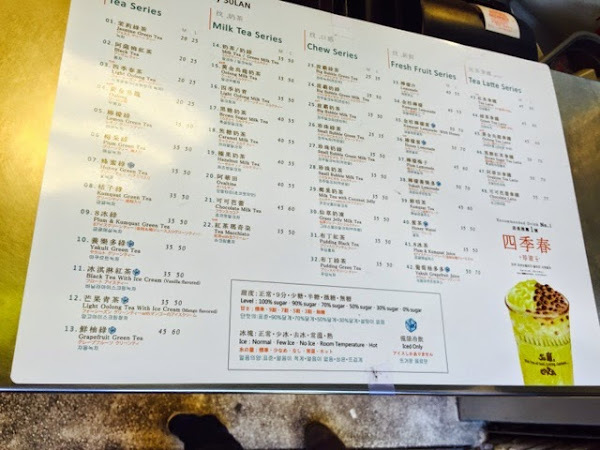 There's also lots of ice teas, green tea, fruit teas, milk teas and fruit juices to choose from. You'll be asked how sweet and how icy you want your drink, and you can ask for an English menu if you don't spot one. 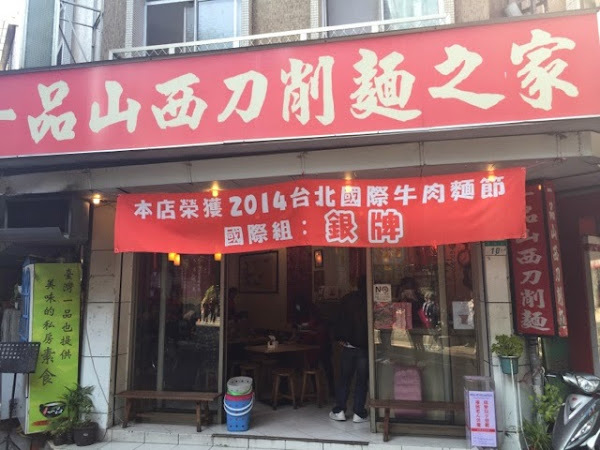 If you're up for trying something local, there's also a lot of shops specializing in dishes from other Taiwan cities, like Tainan or Yilan. 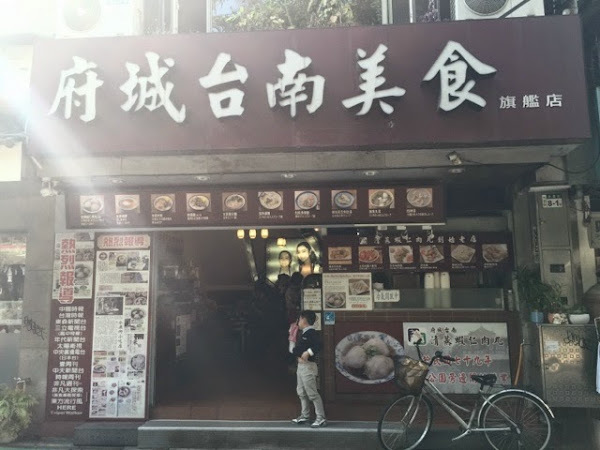 I love the fried gaozha and lu rou fan from Lu Sang and sometimes will stop in to get just that as a snack on my Yong Kang St food crawl, but you could do a whole family style meal at these restaurants too. See what other dishes are family favorites on my past review here. gao zha- deep fried chicken broth!! 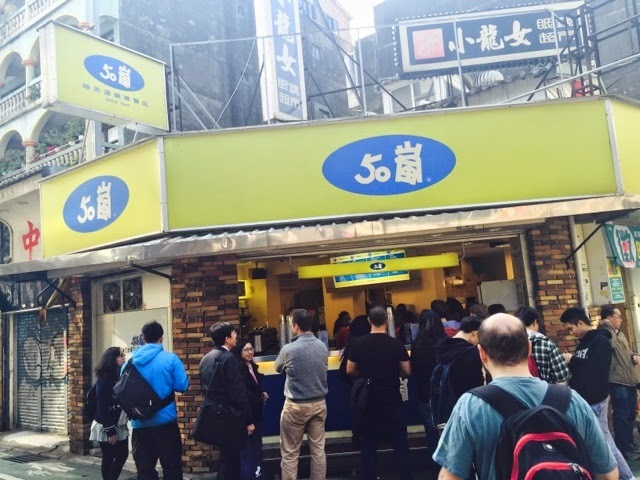 TU HSIAO YUEH/ DU HSIAO YUEH / 度小月 or SLACK SEASON NOODLES is near the front of Yong Kang St, near DTF and Kao Chi. Famous for their Tainan dan tsai noodles. 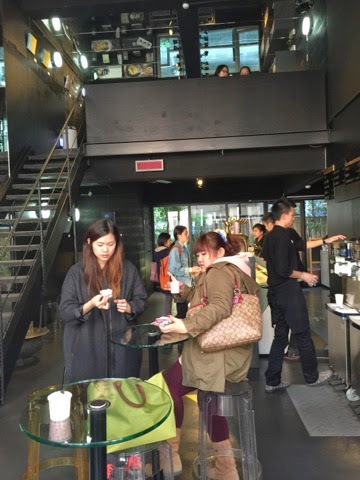 Good if you have a large group and want to try Taiwanese food in a modern setting. Check out this past review for some pictures. 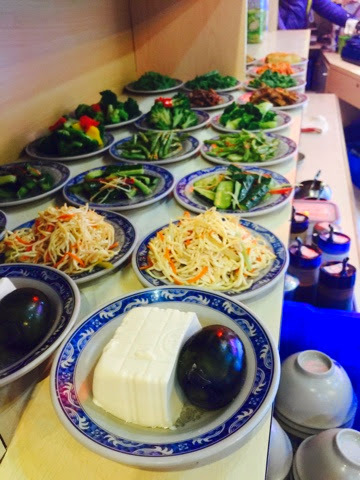 Of course, there's many more restaurants in the offshoots of Yong Kang St to try, but just the restaurants on Yong Kang Street will keep you busy for an extended lunch and afternoon of snacking. 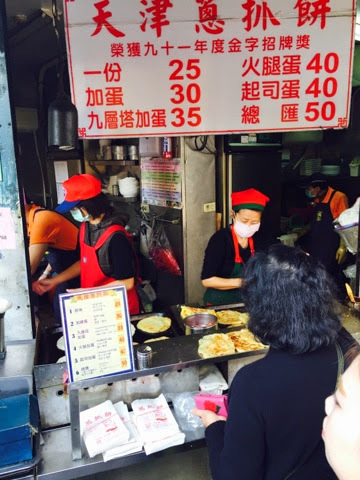 Did I miss your favorite eats on Yong Kang Street? Share in the comments! Note for travelers, you can also grab a local SIM card at one of these telecom shops Far EasTone or Chunghwa Telecom since you can't just get them at 7-11 anymore. I recently helped a journalist get one here (have your passport ready) before our walking tour of Yong Kang St. Yong Kang Street also conveniently has both a 7-11 and Watsons, perfect for picking up some bottles of water, makeup or toiletries. thanks so much for taking the time to write this up! amazing! will definitely use it for my upcoming trip! Thank you for putting this excellent guide together. I had put it to use for a brief visit yesterday. 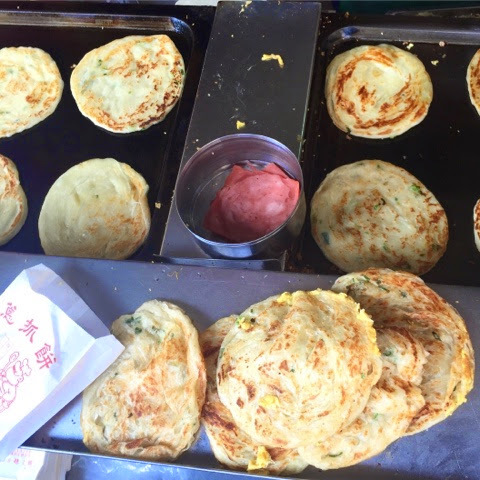 Top marks for the delicious TianJin pancakes (天津抓餅) and the ShengJianBao from GaoJi 高記! I'd definitely return and try more places on my next visit. anonymous: you're welcome! have a great trip! Hi May, thanks for your comment! 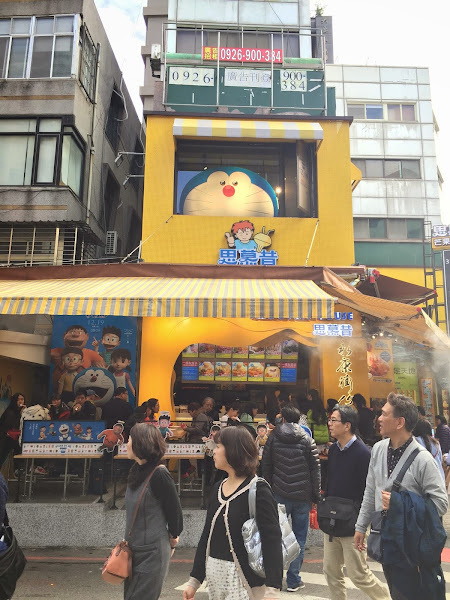 You're right, there are quite a few Japanese eats on or near Yong Kang St. I haven't had a chance to properly try them yet, except for some sushi nearby, since I'm usually in that area with visiting friends who want chinese/Taiwanese eats. 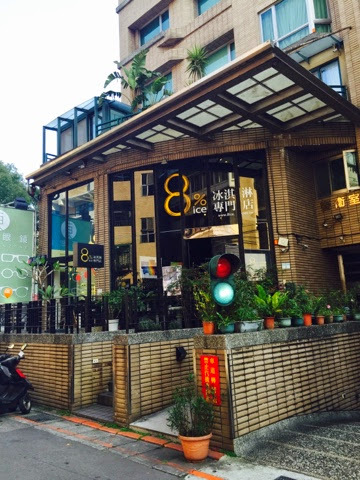 Hi, great recommendations you have on Yong Kang Street!